We’d love your help. Let us know what’s wrong with this preview of Wonder Woman (1987-2006) #138 by Christopher J. Priest. Under Circe’s spell, Hippolyta has been made to believe that someone else’s life is actually her own! Even Wonder Woman’s lasso of truth is unable to break the evil sorceress’s influence over her mother. 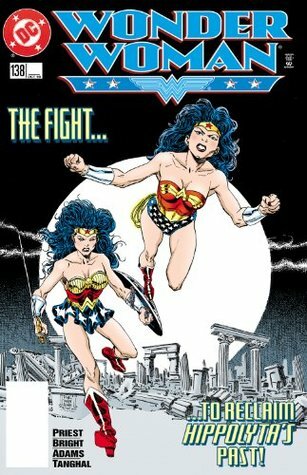 To ask other readers questions about Wonder Woman (1987-2006) #138, please sign up. Formerly known as Jim or James Owsley. Christopher James Priest is a critically acclaimed novelist and comic book writer. Priest is the first African-American writer and editor for Marvel and DC Comics. His groundbreaking Black Panther series was lauded by Entertainment Weekly and The Village Voice and will serve as the basis for the 2018 Marvel Cinematic Universe adaption. Besides Black Panther, Pr Formerly known as Jim or James Owsley. Besides Black Panther, Priest has written comics for Conan, Steel, Green Lantern, The Crew and edited The Amazing Spider-Man. He also co-created Quantum & Woody along with Mark Bright and co-founded Milestone Media. After a decade long hiatus he is currently writing Deathstroke for DC Comics. In addition to being a writer, Christopher J. Priest is also a baptist minister.